Lonnie Wilmer Deal, 97, of Savannah, Georgia and widower of Lola Mae Westberry Deal, died Monday afternoon, November 19, 2018, at Memorial University Medical Center. Born on August 26, 1921, in Jenkins County, Georgia, he was a son of the late John Deal and the late Ruby Roach Deal. Lonnie was a member of Bull Street Baptist Church. 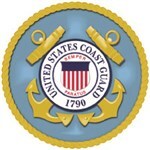 He was a United States Coast Guard veteran having served during World War II. 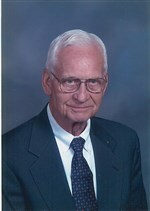 Lonnie spent more than 50 years working in retail sales where he served many customers and built lifelong friendships. He was known as a jack of all trades. In addition to his wife of 66 years and his parents, he was preceded in death by one sister, Ruby Lee Deal; four brothers, Otis, Will, Charlie and Irvin Deal; one brother-in-law, Remer Franklin, and two sisters-in-law, Edna Mae Deal and Eunice Deal. Lonnie will be deeply missed by his family, daughter, Patricia Marvin Lawrence and her husband, Tom; granddaughter, Laurie Wallace and her husband, Jeff; three great-grandchildren, Garrison, Halley and Emmerson Wallace; brother and sister-in-law, Cecil and Barbara Deal; sisters and brother-in-law, Mary Franklin and Ruth and Jack Bragg, and many nieces and nephews. The funeral service will be held at 1 o’clock Friday afternoon in the chapel of Gamble Funeral Service. Interment will be in Forest Lawn Memory Gardens. Remembrances: Bull Street Baptist Church – 17 East Anderson Street, Savannah, Georgia 31401. His family would like to thank Gloria Givens and Dixie Barnes and the nurses and doctors at Memorial University Medical Center for the excellent care given to Lonnie. Seeing the comment of the Coast Guard reminds me of listening to him tell me about his experiences during the war. I can see it almost as if I had been there, his story so well told. He was such a unique man loved by my family. My very. best goes out to you all. Daddy, Tom and I are so happy for you that you are now in your eternal home with our Lord & Savior and my mother ,but Im so grateful you were also able to be in your earthly home right till the end and all your wishes were granted concerning this!! I know that GOD in all his grace and mercy let this dream come true! You deserved it! You were the best husband, father, grandfather and great- grandfather this world has ever known!! We will love you forever!!! Cant wait for the day of our reunion!! I can only imagine!!! Lonnie was just a very fine person. When we attended Bull Street he was always so good to help with our home projects out on Wilmington island. I know he is talking with Jesus as we speak!! God Bless Lonnie and all that he represented! !